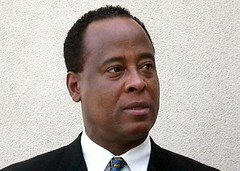 A judge in Los Angeles today ruled Dr. Conrad Murray, accused of involuntary manslaughter in the death of Michael Jackson, can keep his California medical license. 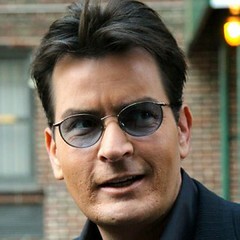 The California Medical Board had asked the court to revoke it, saying he was a public threat. Murray's lawyers pointed out no evidence has yet been presented in court. Today, the judge hearing the request said the matter had previously been ruled on by another judge and he had no authority to rule differently. Murray gained a much-needed dose of good press last month when helped revive a woman who became unconscious on a US Airways flight from Houston to Phoenix. 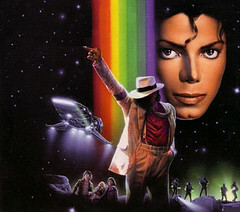 June 25 will be the first anniversary of Jackson's death. The Los Angeles County coroner's office has issued a press release saying Michael Jackson's death was a homicide. The "manner of death has been ruled homicide. Cause of death was established as acute propofol intoxication. Other conditions contributing to death: benzodiazepine. The drugs propofol and Lorazepam were found to be the primary drugs responsible for Mr. Jackson’s death. Other drugs detected were midazolam, diazepam, lidocaine, and ephedrine. 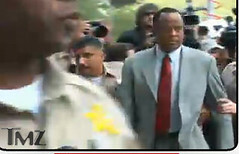 The final coroner’s report includes a complete toxicology report will that remain on security hold at the request of the Los Angeles police department and the Los Angeles County District Attorney’s Office"
The DEA searched the Las Vegas medical office and home of Michael Jackson physician Dr. Conrad Murray today. "We are looking for documents" related to the death of Michael Jackson, said Michael Flanagan, assistant special agent in charge of the Drug Enforcement Administration office in Las Vegas. If you can't beat 'em, join 'em. The Michael Jackson Memorial is about to begin. The musical tributes will be great and there's suspense as to who will sing when, the family has not provided a schedule. If you're watching, here's a thread to weigh in the memorial and the music. You can view the photos of the service below in larger format here. Update: 11:34 am (MT): "We are going to see the King. No More Dying". They bring the gleaming casket in. It's topped with flowers and really quite beautiful. The crowd rises and claps. It's very tastefully done so far. updates below. Tomorrow, join CNN and CNN.com/LIVE for all day coverage of the Jackson Memorial. Don't miss special primetime coverage of the day's events beginning at 8p.m. ET. CNN will also broadcast the event online. How many plan to watch? The current tally from a poll on its website: 82% won't watch. Five other networks will broadcast the event live. Fox News says it's official. The LA Times says it's under discussion. There will be a massive public tribute to Michael Jackson at the Staples Center Tuesday at 10:00 a.m.
People are grumbling about the security costs. How about if everyone who ever enjoyed a Michael Jackson song kicks in $1.00. Wouldn't that cover it?